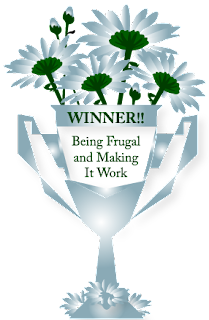 Being Frugal and Making It Work: Winner Announcement: Butch's BBQ Giveaway - Winners Choice! 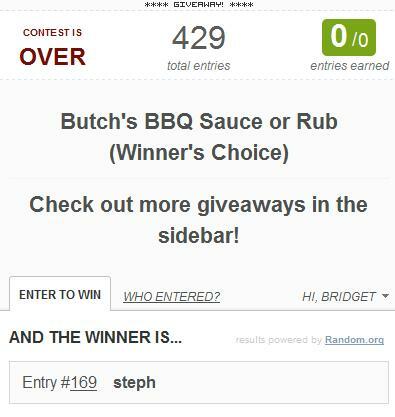 Winner Announcement: Butch's BBQ Giveaway - Winners Choice! Butch's Smack Your Lips BBQ sauce and rub quickly became our new favorite BBQ sauce and rub, and we use it on just about everything. BBQ season is right around the corner, and I can already smell the burgers on the grill! I want to thank everyone who entered my Butch's BBQ Giveaway - Winners Choice. I would also like to thank the giveaway sponsor for providing this great giveaway for my readers.